Ahead of the opening of the The Black Cat’s latest Wonderground production next week, we speak to Hotel Black Cat’s director Laura “Frisky” Corcoran. The Black Cat is on the prowl again this summer with another much-anticipated production at the London Wonderground. Rising from the ashes of the epic Boom Boom Club, Black Cat Cabaret has found its own niche in London’s busy variety scene. As well as the twice-weekly dinner show Salon des Artistes at the Café Royal, it has staged large-scale productions at the London Wonderground in 2014 and 2015. This year’s outing is titled Hotel Black Cat and features an array of top-notch burlesque, circus and musical talents including Dusty Limits, Vicky Butterfly, Katharine Arnold, Florian Brooks and Nathan & Isis. The production is being directed by another name very familiar to fans musical comedy, Laura Corcoran who performs with Matthew Floyd Jones in the acclaimed duo Frisky & Mannish. As well as taking the reins at Hotel Black Cat, Corcoran is also helming another Wonderground show in burlesque extravaganza Between The Sheets and rocking the Udderbelly with Jones in Frisky & Mannish’s Cabariot. Few cabaret shows have their own directors. With this in mind, we decided to ask her about this rather rare role. How did you transition into this position from your performing background? I’ve made shows as long as I can remember – from my brother and I putting together “musical evenings” for our long-suffering parents, to making up dance routines in the playground, to putting on youth drama with full council funding when I was 15. That’s an impressive start. What happened after that? At university, Matthew (Mannish) and I co-founded Musicals of Oxford to produce musical shows while we were there. We always worked together in various combinations – me directing him, him musical-directing me, us performing together – so performing has always gone hand-in-hand with creating and collaborating. With Frisky & Mannish, of course, we were writing and putting together every single thing about the shows ourselves, so again, the elements were inextricably linked. Once our touring schedule eased up, we were both able to take other opportunities both as performers and creatives. What do you find so attractive about being a director? I’ve always been a fan of good structure – which is not to say I’ve always achieved it! – but trying to shape an evening’s entertainment as a whole has always appealed to me. From selecting the Front Of House playlist, to the pre-show lighting state, through the progression of the performance as a whole – the ups and downs, the lighter moments and the darker moments, and building to whatever conclusion you’re aiming for – be that to satisfy the audience, or deliberately unsettle them – right through to the music playing as they leave the room. Would you say that as a director you have developed a particular style? I have strong gut feelings about whether things work for me or not, and I can’t really analyse what those things have in common. That might be an easier question for someone to answer with an outside eye! I wouldn’t be surprised either way – if my gut has particular tastes, then there probably is a style emerging; but similarly, I always heavily collaborate, so there’s always going to be different influences on every project. And how do you decide what path to take the audience down? There’s no single way to create that journey, so the possibilities are endless. Although endless possibilities terrify me, and I feel like I work much better within difficult confines, strangely enough! This is possibly why the low budgets of cabaret work for me. How is the role of a cabaret director different to, say, that of a theatre director? Cabaret performers are extremely self-sufficient and self-motivated, and spend their lives crafting their skills and their act, and performing it in a huge variety of settings. So, for me, every cast member is a creative powerhouse in their own right. In theatre, of course, actors are incredibly skilled and creative, but they have to adapt in every job to the piece, the team, the demands of the role. Where actors will look to directors/producers for the creative vision, cabaret artists want to collaborate to get the best for their act and the show as a whole. There are a lot more ideas at the table, and when you cast a cabaret show, you know that you want exactly what that particular act brings, not their ability to be something else entirely. So, essentially, I think of it as much much more collaborative. What would you say makes for a good cabaret director? The ability to herd cats! But cats you respect enormously, and know will deliver something sensational, no matter what. A degree of laissez-faire is useful, for one’s own sanity, but essentially, put together the right company, and the show makes itself. Then you just have to make sure it flows well, looks incredible and doesn’t overrun. So do you think a director should be credited with for the success (or not) of a production? Ultimately, the producer is the boss. And sometimes, the performer is the producer, and then the dynamic is completely different from casting and creating a show with a team. I think it very much depends on the type of show, and that particular company’s dynamic, which, unfortunately, is almost impossible for audiences and critics to know about. So in that respect, I often think directors get undue praise and criticism – but I think you know that going into it, and it’s just another side of the role. All you can do is be the best navigator you can, as really I think that’s the essence of the job. As long as you can keep it as on track as possible, you’ve done your job. As a director, what is your vision for Hotel Black Cat? (Black Cat Cabaret producer) David Harris and I have worked closely together on the vision for Hotel Black Cat, He brought the hotel concept to me, and showed me some amazing research materials that got me hooked straight away. On the concept side, it’s recalling the hedonism of New York’s Chelsea Hotel, but in our familiar Black Cat Parisienne setting, a place where artists live, work and play, but is at once endlessly creative, and dangerously destructive. We also wanted to reflect a little of what is going on with artistic hubs at the moment – money booting us out in favour of profit-friendly business, so it’s slightly later in the 20th Century than the classic Black Cat shows of old, and with a flavour of a different breed of society closing in. But really, we wanted to return to what makes the Black Cat Cabaret such a unique, successful and long-standing company: the Parisian bohemian spirit, the crashing together of old world and new, and stunning period costume and detail. There are narrative threads, but rather than “telling a story” they are ways of exploring aspects of love, art and the shift from one era into one another. Finally, is there any London show around now or in the near future that you would love to have a stab at directing? Hotel Black Cat opens at London Wonderground on 17 June and continues on every Friday until 26 August. More information and tickets can be on the London Wonderground website. Between The Sheets opens at London Wonderground on 9 June and continues on 30 June, 21 July, 4, 18 and 25 August and 8 September. More information and tickets can be on the London Wonderground website. 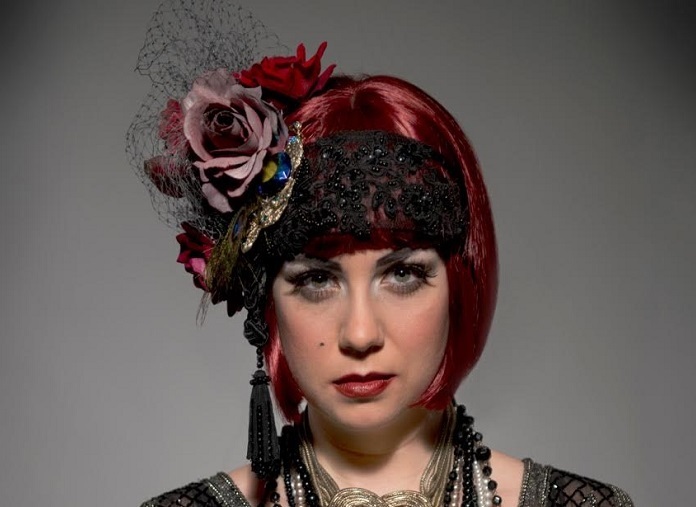 Frisky & Mannish’s Cabariot can be seen in the Udderbelly tent on 8 June and 6 July. More information and tickets can be on the Udderbelly website.